Twin Towers "Tribute in Light"
From March 11, 2002, through April 13, 2002, the "Tribute in Light" lit the New York City skyline. The tribute was held in memory of those we lost on 911. 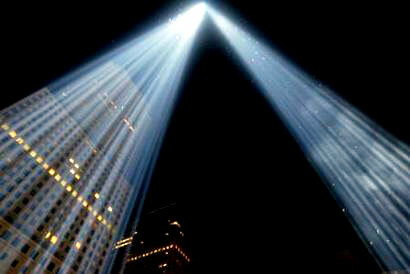 Large lights were placed where the Twin Towers once stood, and beautiful beams of light flooded the sky. 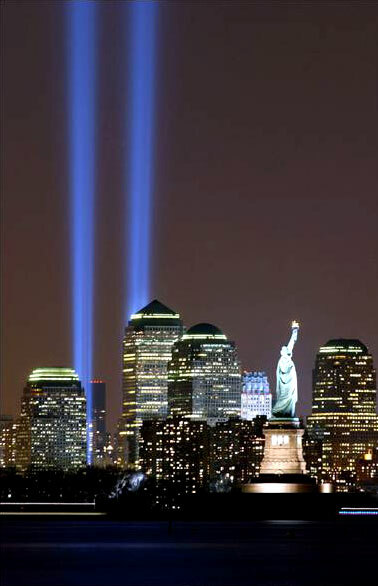 The "Tribute to Light" is now held every September 11th. Below are some pictures of this spectacular tribute. We will never forget those who died on 911 -- they are angels. And we will never forget the 911 survivors.